Can I buy products featured on your website? No, these are examples of our creativity, quality and design only and have been made to order for individual organizations, clubs, charities and businesses. Generally our onsite locally made products take 3 - 4 weeks and our offshore supplier takes approx 5 - 6 weeks to manufacture. *Although if you have urgent requests please let our sales team know and our production planning staff will do their best to accommodate meeting your deadline. Do you have minimum quantities that I need to order? In most cases we have no minimum quantity runs although it is more economical when purchasing in larger quantities. Does Cash’s charge a set up fee for Moulds and Dies? We charge a one off Mould or Die cost for new jobs created and once your mould or die has been created, it is stored and repeat orders incur the individual unit cost only. Offshore orders may incur additional set-up costs when reorders fall beyond a 2-3 year intervals. What is the difference between 2 and 3 Dimensional (2D)? Both 2D and 3D use raised and sunken areas in the design, 2D is ideal in most cases whereas 3D gives additional shape and form which is better suited for depth and details such as faces or landscapes, the 3D process is more expensive as it involves our artist hand sculpting additional detail into your design. Our staff can guide you to achieving the best result for your application. What does Artwork cost, what do I need to supply and are we limited with our design? Artwork and Design are free for those who go ahead to the manufacture stage and can be supplied in many ways; this can be as simple as an idea, a drawing, photograph and / or company logo. Preferred file types are eps, ai or cdr. There are very few limitations and we can design most shapes and sizes, we will come up with the best manufacturing method to suit the product and design you are trying to achieve. Can you match to our club logo or corporate colours? We use PMS colour matching charts and can match to most colours. Can Cash’s provide engraving, how much does it cost and how do we supply lists for engraving? Yes, we have a dedicated team of engraving staff and use computerised engraving equipment for all of your engraving needs. Costs vary depending on the amount of engraving required; initially there is a machine set-up fee per batch of engraving. 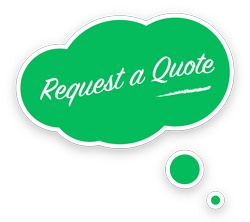 Feel free to provide us with an idea of the text and details required and we can provide you with a quote. Final engraving lists can be sent in the exact layout you would like engraved and supplied in ‘Plain text’ file types. For more information about any of our products, please contact us.